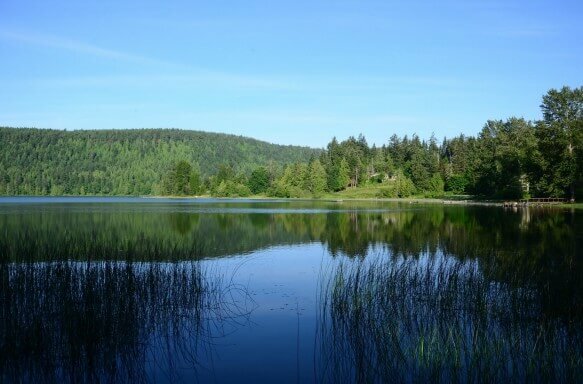 Coast Salish Territory, Salt Spring Island—The Salt Spring Island Local Trust Committee (SSI LTC) has adopted two bylaws that will help maintain water quality in the Island’s drinking water lakes while also respecting the role that farming plays in the island’s culture and economy. Bylaw 496 amends the Salt Spring Island Official Community Plan to allow the SSI LTC to make new regulations for farming on lands that are outside of the Agricultural Land Reserve, but only if those proposed regulations are for the purpose of water quality protection. Bylaw 487 applies to land in the Rural Watershed 1 and 2 zones. These are the areas that surround the Island’s main drinking water lakes: St. Mary, Cusheon, Maxwell, Stowel, and Weston. Bylaw 487 amends the Salt Spring Island Land Use Bylaw to remove “intensive agriculture” as a permitted use in the watershed zones, introduces a 15 metre setback from water bodies for agriculture in the watershed zones, and also introduces a 30 metre setback from water bodies in all zones for storing hazardous materials used in farm operations. For more information: To view Bylaws 496 and 487 and to learn more about this project, visit the project webpage here. See the final report from the Agriculture in Rural Watershed Zones Working Group here.